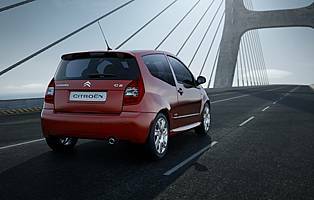 Citroen has plenty of experience when it comes to cost effective small cars, so it's no surprise that the compact C2 has proved to be one of its best selling models in recent years. Recent revisions to the trim level line-up and exterior design are intended to freshen up the C2, while the Stop and Start system continues to appeal to cash-conscious car buyers. 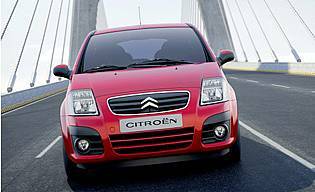 Small and stylish, the Citroen C2 has quickly become a familiar sight around UK towns. Appealing to buyers who need a compact and cost-effective car for city driving it has been a popular choice young first time car buyers and couples, plus more mature drivers who no longer need a larger vehicle for family duties. Its distinctive looks have been refreshed to give the model a more statuesque appearance. A new front grille is more stylish, while a chunky one-piece front bumper gives the model a more masculine and sporty stance. The trim level line-up has also been revised; cut down to four models for simplicity with an impressive range of seven engine choices and two transmissions to choose from. The Stop and Start is only available with the 90bhp 1.4-litre petrol unit and Sensodrive automated manual transmission. When activated, the system automatically shuts down the engine when the car comes to a halt, restarting it when the throttle is applied. 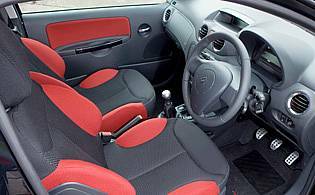 The system rings more fuel economy out of the reasonably sprightly engine with minimal inconvenience. Only available in middling Rhythm trim level, the Stop and Start equipped model never-the-less comes with a very reasonable amount of equipment, including the addition of automatic wipers and headlights and, like the rest of the C2 range, a useful split tailgate and funky digital dashboard display. 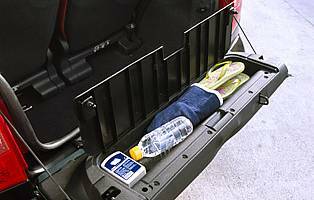 A neat little package, the Citroen C2 Rhythm Stop and Start is highly effective at combining sensible running costs, ease of use around town and a stylish exterior. Its size limitations mean it's not the most practical hatchback out there, but it's ideally suited to city use and the 1.4-litre petrol unit means it's not lost when it comes to the motorway, either.